Dressing for the sweltering months can be tricky, both for men and women. 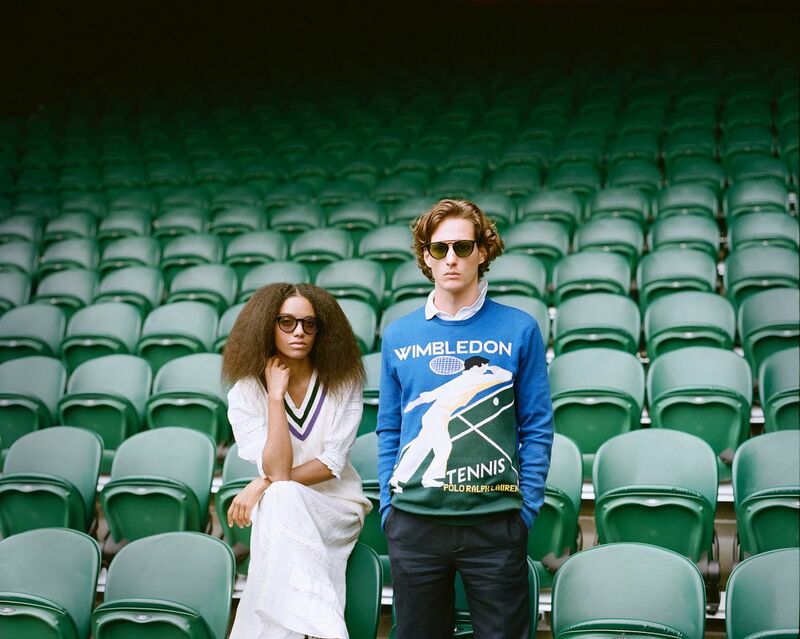 Thankfully, Polo Ralph Lauren drew out the chicest crowd from around the world in celebration of its 13th year partnership as the Official Outfitter of the Wimbledon Championships for you to draw inspiration from. As they watched Novak Djokovic defeat Kevin Anderson and Serena Williams face off Angelique Kerber, guests and stars alike sipped on speciality drinks at Ralph's Coffee & Bar and could put their signature stamp on the exclusive collection a the Polo Custom Shop. Ever the champion of sustainable fashion (just look at her Instagram page @the_press_tour dedicated to crediting eco-conscious designers and artisans behind her wardrobe), the beauitful Emma Watson wore a vintage Ralph Lauren shirt dress cinched with a matching brown belt and topped with a white fedora, proving once again that chic can be incredibly simple. Giving us a lesson in summer suiting, actress and model Gemma Chan wore a chambray jacket and pants in baby blue by Polo Ralph Lauren. The oversized double-breasted silhouette and flared pants give this boyish style a feminine and lean look. Is that you, Spider-Man? In a Ralph Lauren Purple Label navy wool suit, blue cotton shirt and blue two-tone tie, on-screen superhero Tom Holland keeps it cool with a tone-on-tone look for summer. They may play wealthy playboys on screen, but Wu Xize, Guan Hong and Wang Hedi of F4 prove they're just as stylish off-screen, wearing crisp summer suits in an array of cool colours including a check grey suit, blue check suit and navy suit respectively, and all by Polo Ralph Lauren. Jumpsuits are an easy solution for any warm day wardrobe woes, and Coco Lee proves just that in a silk O'Reilly jumpsuit from the Ralph Lauren Collection paired with a nautical steam boat clutch and tie-dyed wedges, perfect for watching the match (or lounging by the sea). Hong Kong pop singer Eason Chan brings his signature laidback look to his Wimbledon outfit, opting for a loose-fitted Ralph Lauren Purple Label grey sport coat, cream Harrison pants and tan lace-up brogues. With 1.5 million followers on Instagram, the world already knows that fashion blogger Caroline Daur knows how to dress. The street-style star opted for Polo Ralph Lauren pinstripe trousers, a simple cotton shirt and leather clutch bag with a little twist–a red and cream handkerchief wrapped around her wrist for a subtle pop of colour (a style trick we all can learn from!). Actress and style darling Anya Taylor-Joy was a vision in blush, wearing a Ralph Lauren embroidered Trinity dress, matching heels and a fedora fit for the occasion. Proving that a princess doesn't necessarily mean pink and tulle, HRH Princess Olympia of Greece and Denmark channels rocker-chic vibes, grounding her Polo Ralph Lauren black floral silk maxi dress with combat boots.